This might be hyperbolic, but I may have more responsibilities than I've ever had before. But maybe it just feels that way because I had so few responsibilities in December, January, and February. A little over a week ago I was called as a Relief Society president for my singles ward in Payson. I think it's going to be more difficult than it was in Logan, because of the different demographics. But I have a better perspective than last time, because I have some experience, and a more healed spirit. One of my goals is to serve diligently without succumbing to the discouraging thoughts put there by the adversary. I'm helping put on a Family History Fair in my stake, which will take place in June. 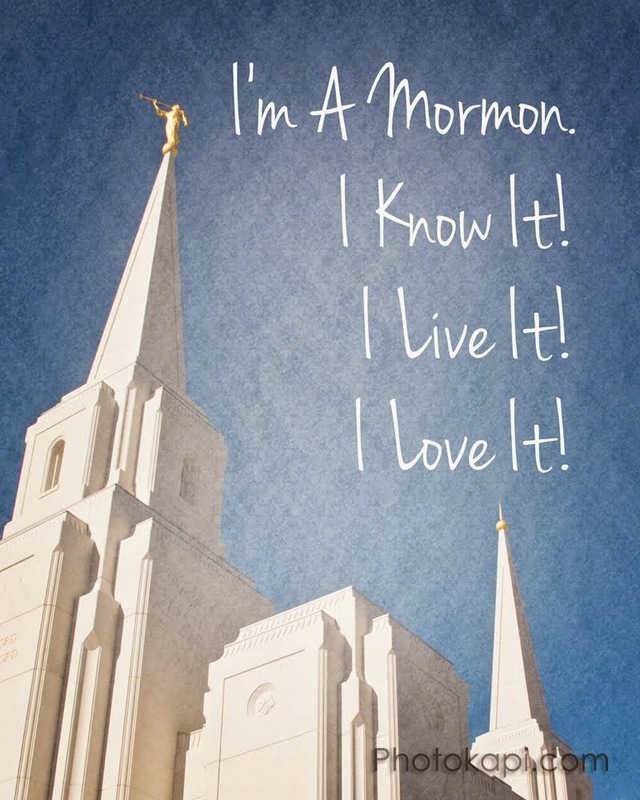 I will also keep teaching Institute in my stake, teaching Family History. I'm going to become a tutor in about a month, working in Salt Lake. I'm applying for another internship in Chicago. It might be a better fit for me. I'm taking lessons still, to help me prepare. I'm gonna run a half-marathon with my mom this summer. And I'm going to lose 18 pounds. And I'm still working at my current job for a while, with a different position within the IT department. And I get to use a MacBook Pro and an iPad Air. With great responsibilities come great electronics. I definitely didn't know my life would be this way when I moved home! I can sense a more real conversion than I've had before, and I love it. There's a lot more love and happiness available in life than I thought there was. And it's because of Christ. The day really was awesome. The Spirit in our testimony meeting was actually really strong! I had a temple recommend interview, and felt deep peace and emotions. I got to go visiting teaching, as well as to a meeting where I also felt the Spirit as we planned for an awesome family history event. I got several opportunities to serve, and took them, even though I didn't have to. I'm glad I did. My friend Bronson asked his Facebook friends how Jesus Christ has made a difference in our lives. I responded that because of Him, I can be brave and act in courage, knowing that all my mistakes that I make as I'm trying to learn by experience can be forgiven, healed, and made into something beautiful. So there's no need to be afraid. Because of Him I can leave behind perfectionism and experience true growth, joy, and gratitude instead. He's my safety, and provides me with all the hope I need. I am so eternally grateful to know I have a Savior who loves me infinitely. Believing that changes everything. I know He lives and I know He loves me. And I know He is the Son of God. We actually had a really good Family Home Evening tonight! After a few Mormon Messages videos, we had a lesson on apologizing. And it was really good! It came from something my dad read on Facebook. We talked about the four steps of apologizing, then practiced it, using real but not-too-serious examples. It went amazingly well. If we can keep it up, I think we'll definitely improve our relationships. Especially considering that forgiveness and humility are two of the mist important parts of a relationship. Work was a little crazy. Busy. But it's amazing how much happier I am when working on a project than I am doing busy work. I haven't been taking lunch breaks, because I'm pretty engaged in what I'm doing. Even if it's stressful, it's still engaging. I just eat while I work. I'm excited for my mission reunion and General Conference this weekend! I need it. I'm still trying to shake the sadness and worry that I've had since yesterday. I was stressed about preparing my Institute lesson, but I got it prepared and went to my classroom... And no students came. It was discouraging. But on the bright side, I got to attend a different class and reflect on the doctrine of repentance (the topic being addressed by Dustin and Derek). I'm hoping for a return of confidence soon. Maybe I'm also feeling a little deficient when it comes to my new job I started this week, my duties as a county delegate, not having an internship secured yet, and wondering if I can really do all The Lord asks of me.